Summary of the main achievements of the charity during the year. The Charity’s 8th year has seen significant development in the integration of communities along with a host of successful achievements that have been instrumental in driving the overall message forward. The charity has completed the 2014-17 project now and has submitted an application for further funding for 2017-2020. Over each month period during the operation of the site-based project, sessional and salaried staff track the attendance of all children and also look for evidence of improvements against the key outcomes for the project. Where there is evidence of improvement towards a key outcome, the staff indicate this on the sessional register and feedback proformas; backed up with regular outcome-tracking questionnaires to give more detail. The number of ‘noticed improvements’ are calculated to give a WORKSHOP ENGAGEMENT SCORE. The evidence base is very strong to show the exceptional impact of the project, not just 2014-17 but since 2011. On average 75% of children regularly attending the project have shown improvements. Out of the 25% who show limited progress, there is still small steps taken by every child and these nuances are captured through regular observations, feedback sessions and questionnaires. There has been a 25% increase in the number of children directly benefitting from the project from 2011-14 and 2014-17. This is strong progress in evidencing increased engagement from a very disenfranchised and marginalised community. Our strong community links, social bonds and established trust mean that community elders and families are wishing their children and young people to engage with the project, seeing the increasing benefits of this type of social participation over a sustained period. CHILD-IN-NEED A started attending workshops in Spring 2012 at the age of 5. At the age of almost 11, she is still attending in 2017. Her progress in engagement, confidence and initiating play has been tracked by sessional and salaried staff. She is now supporting with younger children and is taking a leading role in developing the project and the workshops. She had no confidence. She demanded a lot of attention. She did not interact well with other girls and sometimes others would exclude her from going in. CHILD-IN-NEED B started attending workshops in Autumn 2016. In spite of clear vulnerabilities and being incredibly unregulated, he has attended every single workshop over the year, even when poorly. His average personal ENGAGEMENT SCORE has increased over the year. He is now settled, is very much engaged in sustained social activity and his confidence has improved measurably. In November 2016, Romani Arts and GEMS worked with BBC Cymru Fyw, BBC Children in Need asked some of its Welsh grantees to use smartphones, ipads and DSLR cameras to create videos of themselves preparing a simple, healthy(ish) meal, and have a laugh at the same time! Many young people across the UK face challenges when it comes to the difficult transition into adulthood whether that is living independently or cooking for the first time. These films, created by youngsters who are facing some of these challenges, aimed to inspire other young people to have a go themselves. They are in different languages, including Welsh, English, Romanës and British Sign Language. The Roma young people in this video spoke in ‘Romanës’, or ‘Rromani-chib’, the language spoken by Romani people all over the world. They spoke a dialect of Rromani-chib that is called ‘Vlachi’, that is spoken by many Roma of south-eastern and eastern Europe (Rumania, Hungary, Moldova, Poland, Bulgaria). Rromani-chib is originally an Indian language, part of the Indo-Aryan family of languages. Most European languages are also part of this same language family (except Finnish, Hungarian and Turkish, which are all part of the Central Asian family of languages). Miroslav (15), Lara (13), Slavo (13) and Jessica (12) who are in the video are from families that lived in the central region of Slovakia, in Poprad and Banská Bystrica. They made traditional Christmas biscuits, using a recipe from their grandparents and two of them, Miroslav and Slavo, are studying for their GCSE in catering. There are other foods that they made with their families for Christmas, as this is an important festival in the Christian Roma calendar, as it is in the Welsh calendar. The Romani Cultural & Arts Company once again co-ordinated the Gypsy, Roma & Traveller (GRT) History Month 2017. During June 2017, throughout Wales, a variety of events took place to celebrate the rich culture and heritage of Gypsy, Roma & Traveller communities. There were exhibitions, performances and workshops accessible to all sectors of the community, with some key events taking place in North Wales & South Wales. Schools had the opportunity to participate in our ‘Design-a-Bandana’ competition, open to all Primary schools in Wales and culminated in a Gala event in June 2017. The competition supported the National Literacy & Numeracy Framework. This was the perfect way to celebrate big themes such as diversity and equality as well as an opportunity to explore history and culture in an exciting way. All participating schools received a ‘thank you’ letter and certificate of participation. Prizes for winners were presented in June 2017. In line with a previous decision, we are now committing to organising The National Wales Gypsy, Roma and Traveller History Month on a two-yearly basis. The next one will be in June 2019. Planning is already underway with a venue secured for the gala day event. Our next national school’s competition will be launched in October 2018. It was free to adults and children alike from all backgrounds and communities! 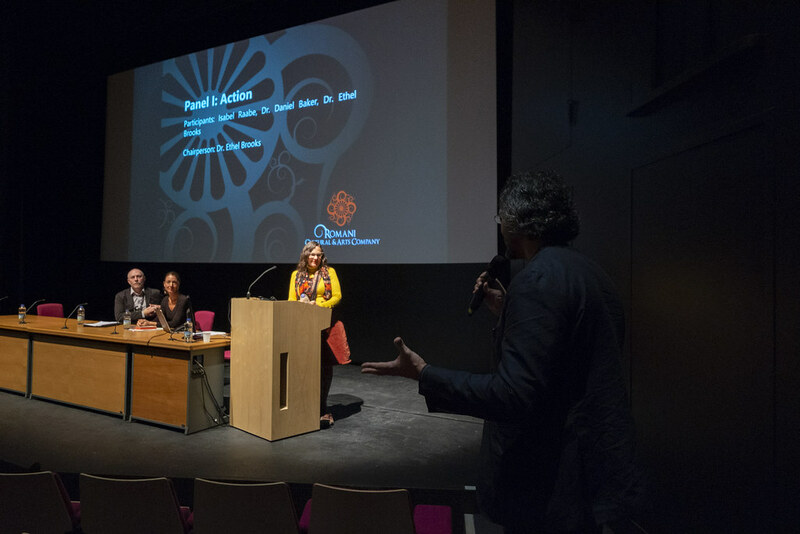 There were films, live performances, art, and exhibitions that showcase the cultural diversity of the Gypsy, Roma and Traveller community in Wales. 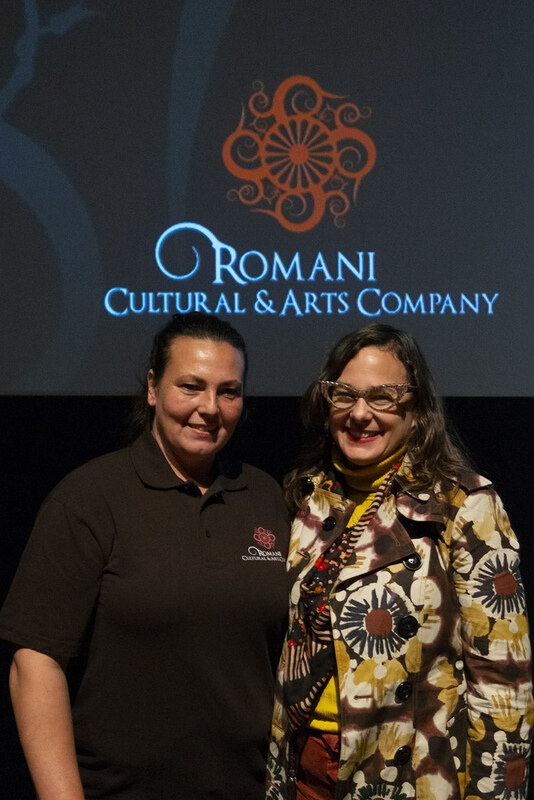 The Romani Cultural & Arts Company is excited by the £49,800 grant provided by The Heritage Lottery Fund. The money is paying for our experienced Community Champions from the Gypsy and Traveller communities to carry out extensive fieldwork across South East, South West & Mid Wales. The work is seeing the gathering of stimulating oral histories, photographs and artefacts to chart, record and archive the fascinating and significant stories of this captivating people. 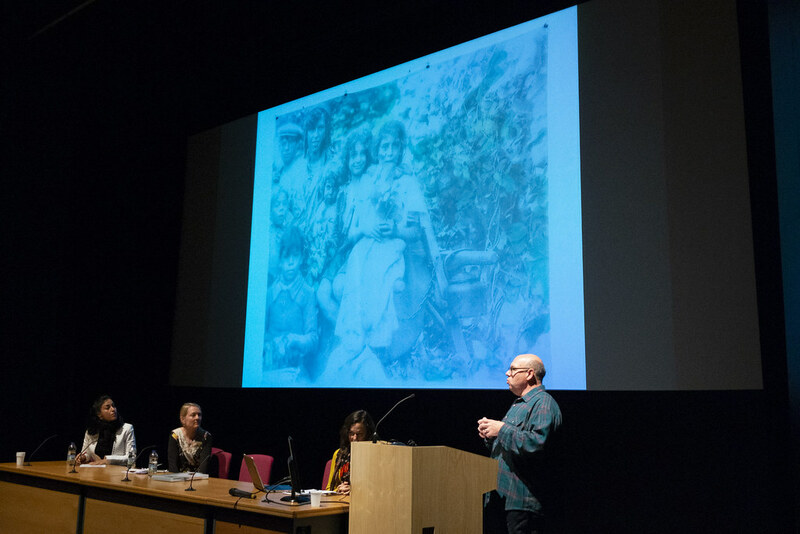 With participants from the regional Gypsy, Traveller and fairground communities, the collection is proving to be enlightening and an essential archive of the experiences and memories of this unique people. To ensure a broad range of participants, our fieldwork is seeing us seek out and work with house-dwelling Gypsies and Travellers and new-site residents. 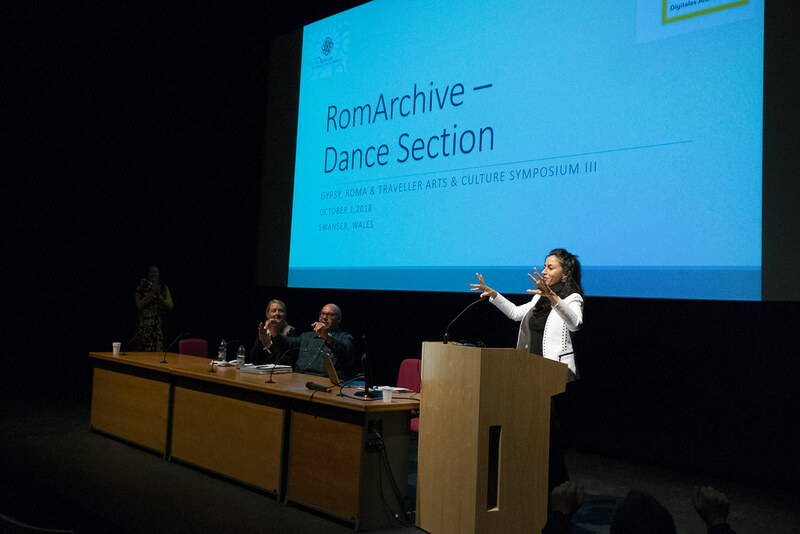 The Romani Cultural & Arts Company is a ground-breaking organisation; by Gypsies & Travellers, for Gypsies & Travellers, with Gypsies & Travellers. We believe that our community is capable of great things and of greater integration into mainstream culture, whilst retaining it’s unique cultural identity and heritage. We let our community grow from the inside out; and this outstanding project has been created by community members and will be led and developed by community members. We are grateful to the support and funding provided by The Heritage Lottery Fund. 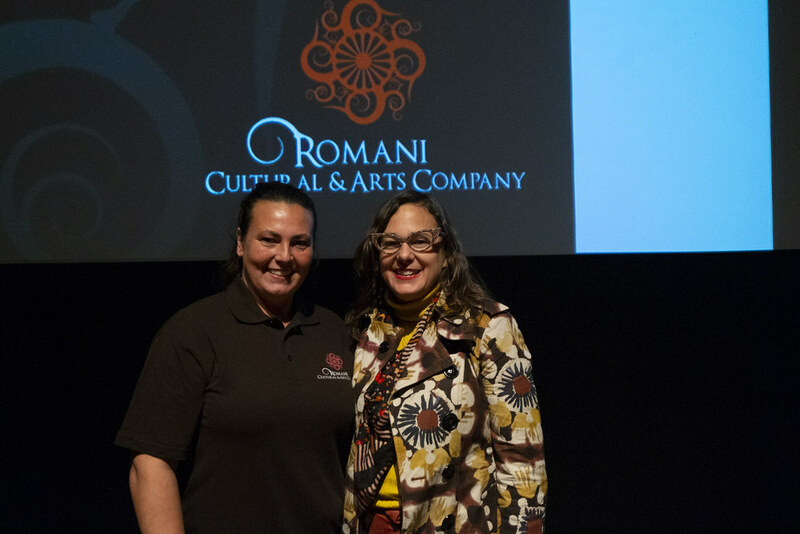 “The Romani Cultural and Arts Company is one of the most consistently innovative and vibrant organisations on the Romani cultural scene that it has done so much to create.” Dr Thomas A Acton OBE, Professor Emeritus in Romani Studies | University of Greenwich, London | Corvinus University, Budapest. We have recently received a Santander Community Plus Grant of £5000. 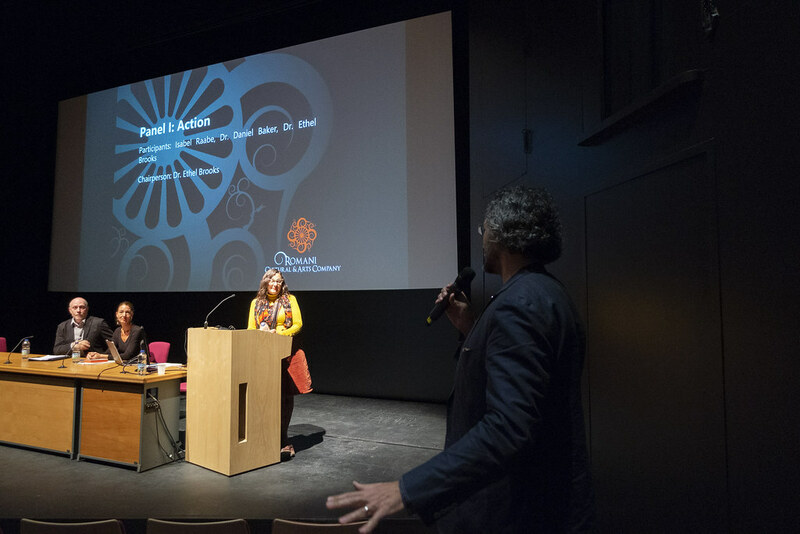 The Romani Cultural & Arts Company launched a report for our “Stories of Health and Wellness: Gypsy, Roma, Traveller Communities in Wales” project. The event took place on 27th April 2017 at 10:00am at the Pierhead Seminar Room, Pierhead Building, National Assembly for Wales, Cardiff Bay, CF99 1NA. This prestigious launch was sponsored by Julie Morgan, AM and Vaughan Gething, AM and Cabinet Secretary for Health, Well-Being and Sport. Overall, we gathered the experiences of many families and can testify to the difficulties they have had in accessing quality health and wellness services, as Romani and Traveller people. Some of these were related to the traditional lifestyle and culture that many Romani and Traveller people still follow in Wales. Some of the challenges that Romani and Traveller families face stemmed from prejudice and discrimination, when accessing health and wellness services and provision. We are aiming to change this with promoting better communication and knowledge, training and anti-bias work, in partnership with the NHS Centre for Equalities and Human Rights, the Welsh government and service providers. From this project, we produced a series of digital stories to share with the wider communities in Wales, through internet-based learning, and St Fagan’s Museum of Welsh Life, where these stories will join the “Tales From the Trailers” heritage exhibition and the Romani Waggon (vardo) that is part of the permanent exhibition that the museum has. The majority of stories will remain as a protected data set held by the RCAC, to respect the participants of the project. During 2017, the NHS CEHR will use a number of the stories from the project, to produce an e-learning resource, aimed at improving delivery of services for health professionals and practitioners within NHS Wales. The project ‘Gypsy Maker 2’ has been a development of the highly successful ‘Gypsy Maker’ project 2014-15. Similarly to Gypsy Maker, Gypsy Maker 2 was designed to commission two GRT (Gypsy, Roma, Traveller) artists to add to the bank of knowledge about Gypsy, Roma & Traveller art and culture here in Wales and beyond. There remains a regrettable shortage of knowledge about this exciting community. The further showcasing of its established artistic heritage and current cultural innovation has benefitted greatly both members of GRT communities and the wider population. Gypsy Maker 2 created a platform for GRT artists to develop their artistic practice over a defined period of time and has resulted in a presentation of works in an appropriate form (exhibition, performance, publication etc.). The participating artists have developed their projects with the expert guidance and stewardship of GRT artist and theorist, Dr Daniel Baker. In order to identify participants GM2 invited expressions of interest from members of the GRT community who could offer unique and exciting proposals for projects in the visual arts field. 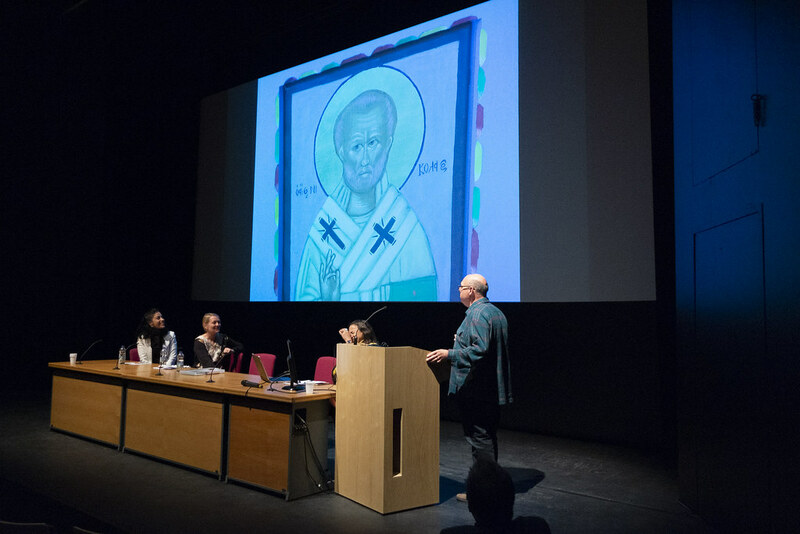 The resulting presentations (exhibitions / artworks) have been made available to the wider public during 2017 accompanied by open-access workshops and forums to allow the public to gain deeper understanding of the processes and themes of the works and the GM2 initiative. The GRT artist and mentor has been supporting the commissioned GRT artists throughout the project. 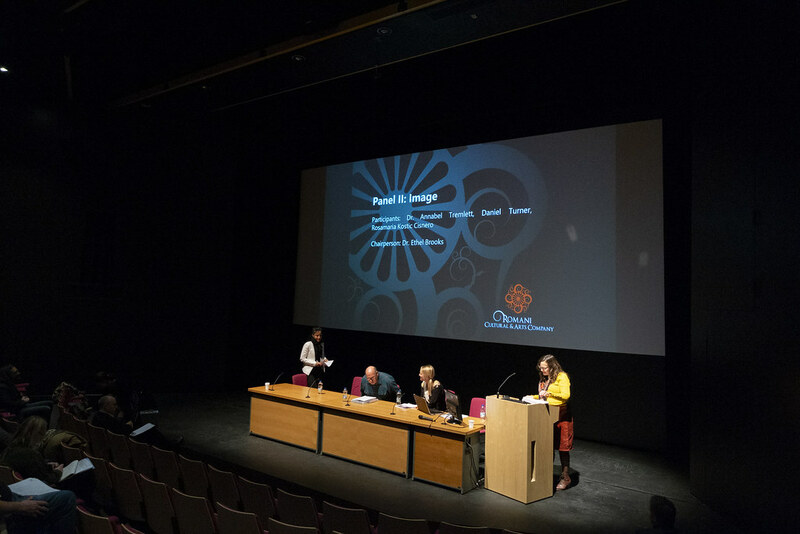 Support included mentoring in relation to technical practice-based advice during the research, development and production period to ensure the highest standard of presentation as well as knowledge/skills-focused professional development to enhance the career trajectory of the artist. Gypsy Maker 2 has continued the exciting and important work started by GM1 with the addition of a GRT artist mentor to oversee the project to ensure quality, viability and sustainability. The GRT mentor and co-ordinator for Gypsy Maker 2 has been Dr Daniel Baker who had previously produced the stimulating ‘MakeShifting’ project during 2014-15. Dr Daniel Baker is an established artist of high standing and his artistic and academic reputation is exemplary. His track record has ensured that he has been able to both support and challenge participating artists. He has exhibited internationally and is widely recognised as a significant practitioner, thinker and expert in the field of GRT arts, culture, heritage and politics. The commissioned artists for GM2 have been Artur Conka (born 1990) and Billy Kerry (born 1980). Artur Conka is a photography graduate from the University of Derby. One of the few Roma to have documented his community from behind the lens, Artur’s photography and film making has focused on the plight of Roma, Gypsies and Travellers in Europe. He feels that it is important to give the Roma, so long without influence or consideration by those in power, a voice. Artur came to Britain in 1998 as an 8-year-old migrant. Using his experience and knowledge of photography and film Artur has created and exhibited a series of images and a short ten minute documentary. 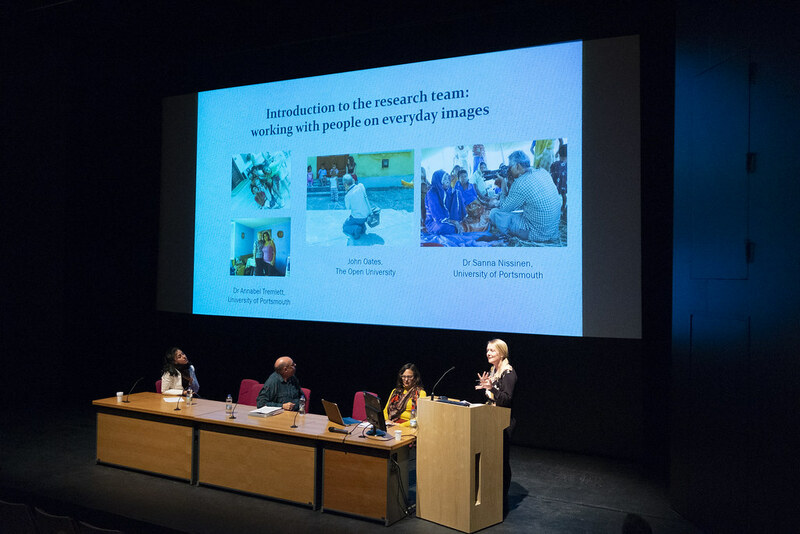 The series of 8 images reflect the investigations carried out during the research period. The short film of 10 minutes explores issues raised during the research period. The aim of the project has been to create new awareness of the Roma living in Wales and also to encourage the Welsh government to enhance strategies of community cohesion. Billy Kerry is an Artist and educator from Cambridge. Billy was trained at Chelsea College of Art and Design London, where he archived a First class Degree (BA Hons) in Fine Art. Since graduating in 2009 Billy has been inspiring others by teaching and supporting at Cambridge Regional College. Kerry’s eclectic practice narrates the close interrelation between artist and material; between body and object. Through his work Kerry has investigated and challenged preconceived views of Gypsies, gender roles and constructed conformity. He has employed diverse conceptual elements and aesthetic motifs ranging from Victoriana to current Pop Culture in clashes which challenge established values to allow new insight into the way we live today. Kerry’s new work consisted of a new installation of three floor based sculptures which use mixed media including wood, metal, paint, gloss, fabric/stitch and found images. The sculptural works have been accompanied by a number of new wall based mixed media collages using found images, gloss, resin, drawing, painting and text to expand upon the themes of the wider installation. The artistic quality of the project and its outcomes have been influenced by the quality of the artists who have led and participated in the project. The work of the commissioned artists drew upon their individual skills and expertise within the field of visual arts. 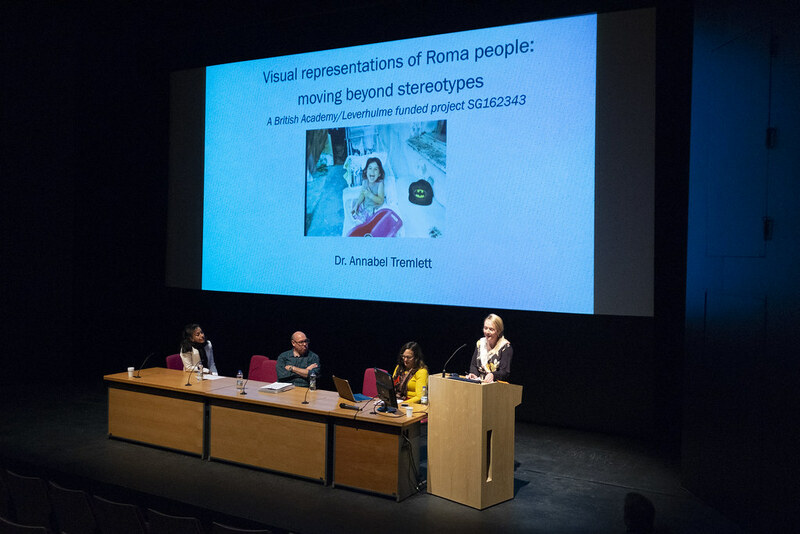 Together they have expanded upon the artistic outlook and material sensitivity common to much Roma visual culture thereby building further the bank of knowledge and artworks that constitute a valuable asset for both the international Roma community and wider society. 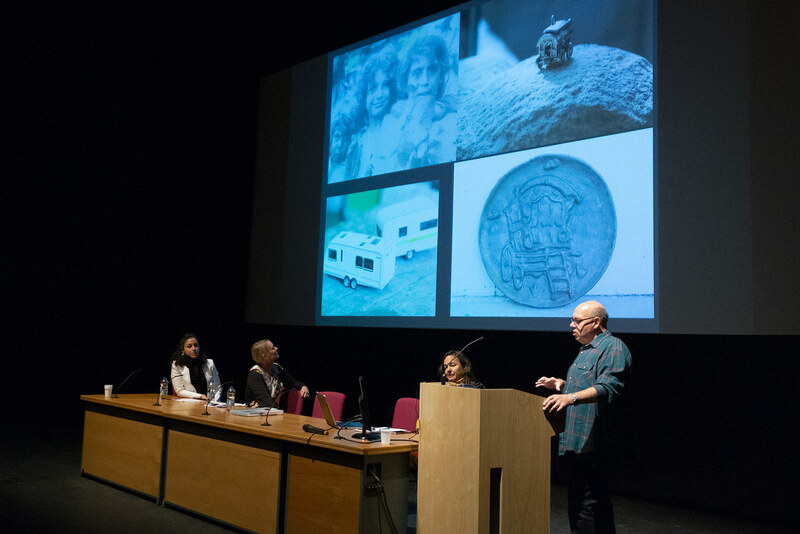 The artists had been nominated and selected by the Gypsy, Roma & Traveller communities themselves. This has added a unique dimension to the project and also added to the artistic quality. The skills employed by the artists include techniques acquired within individual disciplines that include design, painting, sculpture, film making and photography. 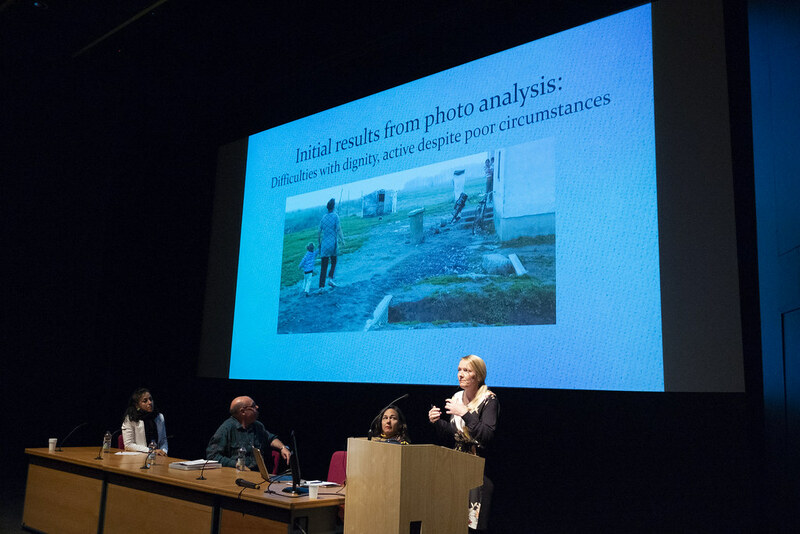 These skills have been filtered through the visual sensibility that underpins the Roma worldview resulting in a fusion of concept and material that draws upon the contemporary Roma experience in order to illuminate common societal concerns. Daniel Baker has been our mentor and project co-ordinator for 2016-17. He is a Romani Gypsy. An artist, curator and theorist, he holds a PhD on the subject of Gypsy aesthetics from the Royal College of Art, London. Baker acted as exhibitor and advisor to the first and second Roma Pavilions; “Paradise Lost” and “Call the Witness” at the 52nd and 54th Venice Biennales respectively. Baker’s art and writing examines the role of art in the enactment of social agency. 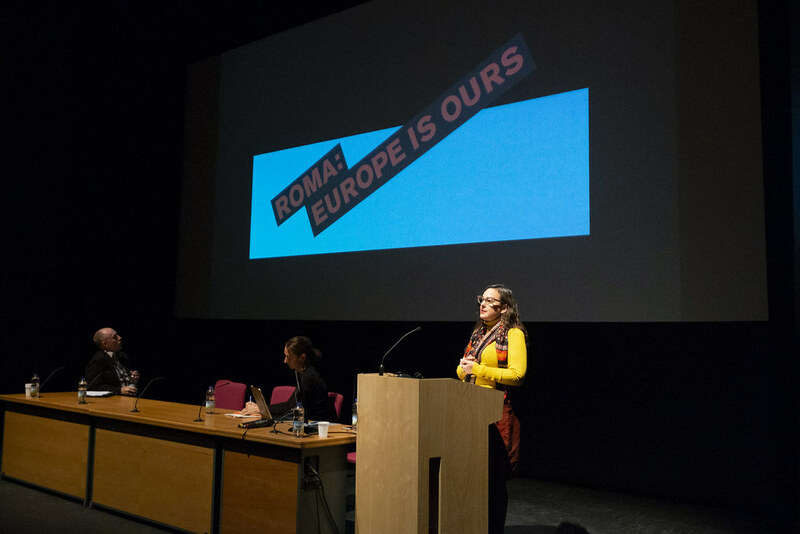 Publications include “We Roma: A Critical Reader in Contemporary art” 2013 and “Ex Libris” 2009. Baker’s work is exhibited internationally and work can be found in collections across Europe, America, and Asia. Please see this link as an example of some of Daniel’s recent works: (please see page 87). Daniel’s CV is exemplary and having researched other potential candidates, there is a shortage of experienced, educated Gypsy or Traveller artists and Daniel is unparallelled. ‘uncovered nothing but praise for Isaac Blake – his work is universally acknowledged by academics, Gypsies, Travellers, politicians, public bodies and international organisations. This is a unique Welsh-based company that should be supported in every possible way. 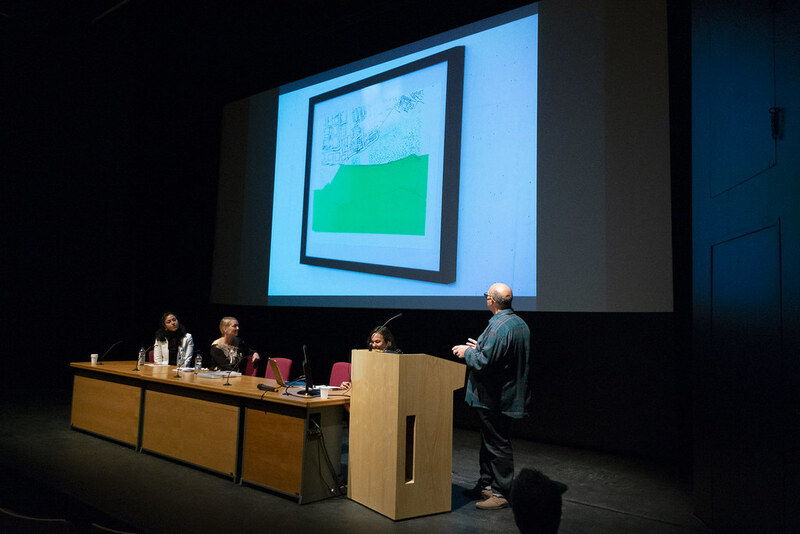 As one of the commissioned artists, Billy’s experience and background has ensured the delivery of a high quality range of works and a stimulating exhibition and series of connected events in 2017. Billy grew up in Cambridgeshire where according to his experience there remains much racism towards Gypsies. His ambivalent feelings regarding discrimination in relation to his Gypsy background informs much of his artistic practice and has led to wider interrogations within his work regarding identity, gender, race and sexuality all of which manifest in a rich exploration of otherness and its role as a mirror to wider society. Artur Conka is a photography graduate from the University of Derby. Originally from one of the poorest Roma communities in Slovakia, Artur returned years later to record how life had changed for its inhabitants during its decline. The result was his first documentary film ‘Lunik IX’. Artur’s work has appeared in various international publications including Huffington Post, The Independent, Vice Magazine, Foto8 Magazine, Vas.Cas.Sk, Creative Boom, Lab Kultur TV Magazine, Derby Evening Telegraph. Artur has produced a new body of work for GM2 continuing his original and innovative approach to filmmaking and photography. His artistic ability and his belonging to the Roma community had added weight, depth and variety to the GM2 project and resulting exhibitions. Together, Billy, Daniel, Artur and Isaac have used their experience, skills and awareness to develop an exciting continuation of this breakthrough project. 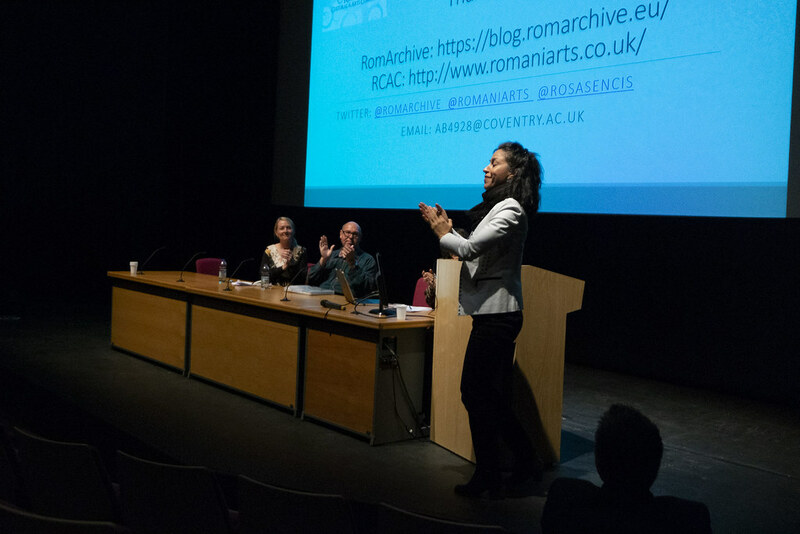 The Romani Cultural & Arts Company was pleased to organise the Gypsy, Roma & Traveller Arts & Culture National Symposium II. The event, hosted by Taliesin Arts Centre, featured artists Artur Conka and Billy Kerry plus guests including Rosamaria Kostic Cisneros, professional dancer, dance historian, critic, and Roma scholar of Coventry University and Isabel Raabe, co-founder together with Franziska Sauerbrey of the office for cultural affairs in Berlin who are also the instigators and coordinators of the international project RomArchive: Digital Archive of the Roma. 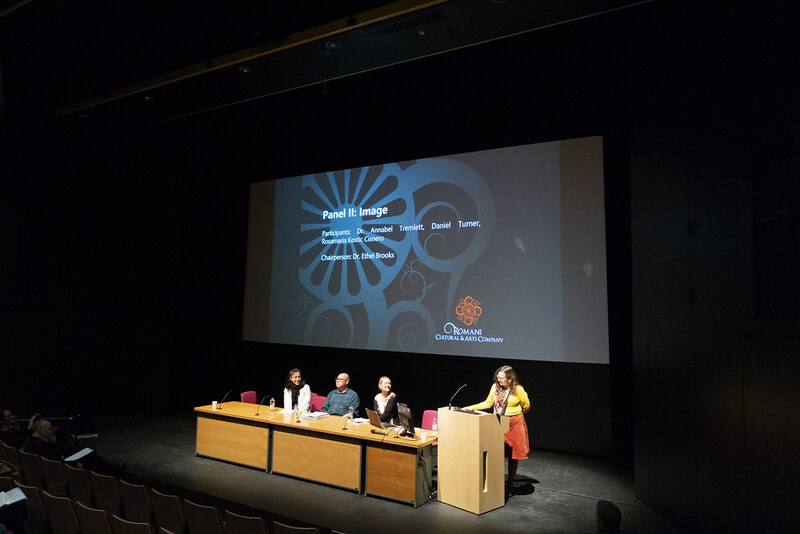 This varied range of speakers with their diverse areas of expertise stimulated conversation amongst the audience regarding the contemporary climate of GRT arts and the wider implications for society. This exciting event took place in the context of the Gypsy Maker 2 project; the unique RCAC venture that facilitates the development of innovative works by established and emerging GRT artists. The project aims to stimulate dialogue across communities about the ways in which art continues to inform the lives of individuals and communities today. For this second phase of the project the RCAC commissioned exhibitions of new work by Artur Conka, Roma, and Billy Kerry, Romani Gypsy. Examples of both artists’ work were on display in Taliesin’s Oriel Ceri Richards Gallery space during the symposium. Through the National Federation of Gypsy Liaison Groups (NFGLG) Isaac Blake RCAC (Romani Cultural Arts Company) was chosen to represent NFGLG for the UK at the October 2016 Roma Youth Conference in Bratislava. The invitation was on behalf of the EU Slovak Presidency and the European Commission and was significant and a credit to the exceptional work that NFGLG, RCAC and ACERT lead on daily in order to improve the life chances of some of the most vulnerable young people. The event brought together around 200 participants, representing relevant national authorities from the EU Member States, enlargement countries, international organisations, EU and national-level NGO networks, Roma and non Roma youth and media. The event commenced with workshops which will focus on discussions on the themes related to Roma Youth leadership and participation, Roma Youth personal empowerment and Access to social rights. On 11 October, there was also a political debate where decision makers from both the Member States and the European Commission were present. “We are delighted that both Isaac and Lisa can attend this meeting. They are both committed members of the Gypsy community. It is important that we all work together for the improvements of life chances for our young people and The National Federation of Gypsy Liaison Group will look further to develop sound networks for future work. We look forward to hearing from both Isaac and Lisa on their return “and continuing partnership work with both ACERT and RCAC. Additional Information Relating to the charity’s activities. Over 2016-17, the charity has supported other organisations and projects, for example, Scottish Travellers’ Hidden Treasures Event in Pitlochry, Scotland, 11th June 2017. We also attended the ‘We’ve Got Talent’ Event in Cardiff Bay in May 2017, organised by the NHS Wales Centre for Equality & Human Rights. Christine Lee is of Welsh Romany Gypsy heritage and grew up in north Wales. She currently resides in Barry near Cardiff. Chris worked as a graphic designer in advertising, theatre, education and publishing for over 30 years. She also established and ran her own successful graphic design company – Chris Lee Design. Through contact with the Dollar Park Traveller Site in north Wales and other Romany Traveller families, Chris became aware of the serious issues, which many families face on a regular basis. She is keen to contribute to a greater understanding of these issues by the wider population, to bring about change and to make the non-Gypsy community more aware of the rich culture and traditions of Gypsies in Wales. Dr Aleksandar G. Marinov is a recent graduate from Swansea University where he studied the effects and consequences of the contemporary mobilities of Roma from Bulgaria. Born and raised in a Romani family in Sofia, he has always been passionate about the issues surrounding their realities. He has studied Political Science (BA) and International Relations (MA) and worked for think tanks such as the Institute for Regional and International Studies (Sofia), done research for the Centre for Research in Theories and Practices that Observe Inequalities in the University of Barcelona (Barcelona) and have done an internship with the European Centre for Minority Issues in Flensburg (Germany). Aleksandar is also interested in community organising and been a supporter of the Romani Cultural and Arts Company since he first arrived in Wales in 2011. He is thus eager to share his knowledge and experience both as an insider and as a researcher due to his vested interest in Romani empowerment and inclusion. Artur Conka is a photography graduate from the University of Derby. One of the few Roma to have documented his community from behind the lens Artur’s photography and film making has focused on the plight of the Roma Gypsies and Travellers in Europe. He feels that it is important to give the Roma; so long without influence or consideration by those in power, a voice. Artur came to Britain in 1998 as an 8-year-old migrant. Originally from one of the poorest Roma communities in Slovakia, Artur returned years later to record how life had changed for its inhabitants during its decline. The result was his first documentary film ‘Lunik IX’. Artur’s work has appeared in various international publications including Huffington Post, The Independent, Vice Magazine, Foto8 Magazine, Vas.Cas.Sk, Creative Boom, Lab Kultur TV Magazine, Derby Evening Telegraph. Artur will produce a new body of work for GM2 continuing his original and innovative approach to filmmaking and photography. Petr Torak MBE was born in the Czech Republic and is Roma / Gypsy. After several racially-motivated attacks he moved with his family to the United Kingdom and applied for an asylum. Torak has joined Cambridgeshire Constabulary in 2006 as a Police Community Support Officer (PCSO), predominantly engaging with migrant communities in Peterborough and assisting various departments in investigation of human trafficking. In 2008 Torak became a Police Officer and has been dedicating majority of his time to promoting community cohesion and also to investigation and prosecution of perpetrators of human trafficking. Beside his policing duties, Torak has dedicated his life to improving living conditions of Romani people in his locality, nationally and on pan-European level. In 2010 Torak co-founded a community group COMPAS that is providing for cultural and educational needs of the Czech and Slovak communities in Peterborough. In 2013 Torak had co-founded police staff association called Gypsy Roma Traveller Police Association (GRTPA) and is currently acting as a Treasurer. The association currently has over 160 members in five EU countries. In 2015 Torak had received, for his selfless and dedicated work, The Most Excellent Order of British Empire (MBE). 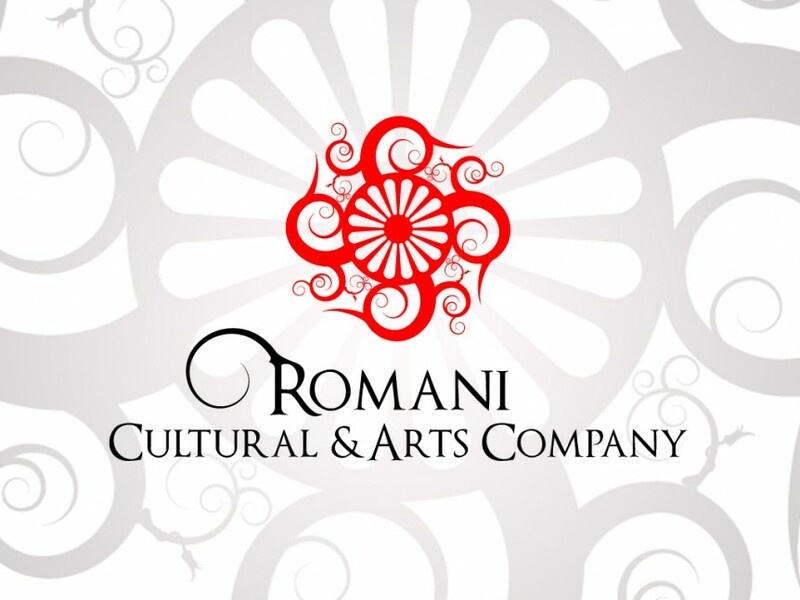 In addition to the above activities of The Romani Cultural & Arts Company, we have been significantly involved in numerous activities and policies to support the development of work that has already generated vast interest and inspiration throughout all communities in the ultimate aim of reaching integrated harmony between the variant cultural differences. The charity continues to naturally enable positive change to occur for the GRT communities of Cardiff (and beyond) by encouraging developments to begin ‘inside the community’ not ‘external’ to the community. The community members are offering their services to the charity and they are leading the development of projects. This year has seen several community members supporting research and volunteering on mini-projects. The charity is leading the way in raising the profile and confidence of women from GRT communities by creating opportunities for them to work in professional contexts. This truly ensures that the service the charity provides 100% meets the needs of the community members, their families and their children. The charity is not seeking ‘quick-wins’. The charity is not seeking to grow for the sake of growing – the charity will grow because the community wishes it to become the principal organisation working with them and for them.